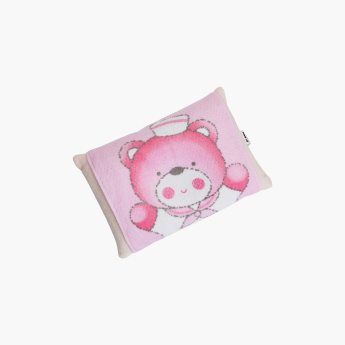 Ainon Printed Baby Pillow | Soft and Comfortable. Soft and comfortable, this baby pillow is shaped in a way to comfort your little one during nap time. The attractive teddy bear print adds to its overall look while the unique filling inside the pillow offers extra soft touch to your baby’s head. Feature 1 : Soft and Comfortable. Feature 3 : Shape accordingly to comfort your little one nap time. 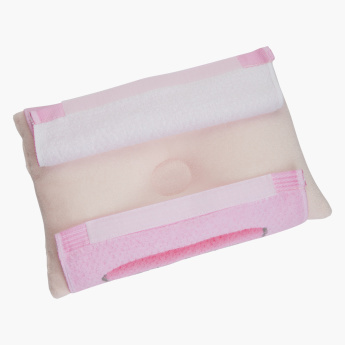 Feature 2 : PolYester filling ensure extra soft touch to baby head.